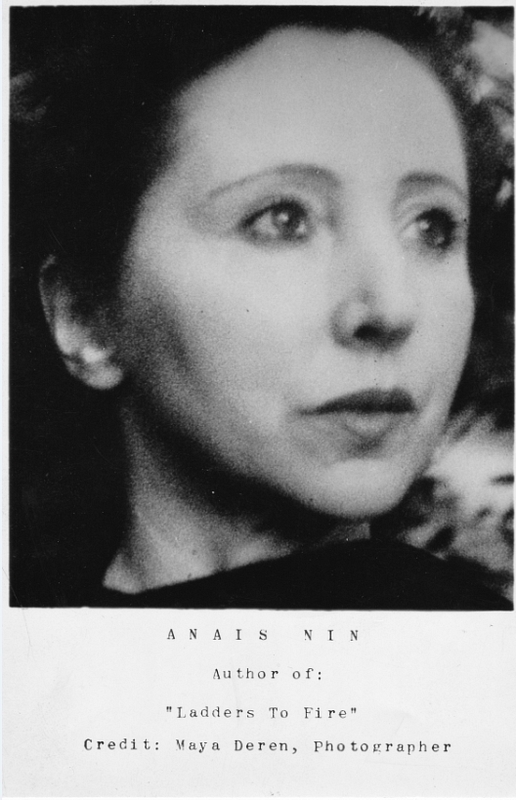 Marianne Hauser was Anais Nin’s neighbor in New York. They lived at 2 Washington Square, a high rise apartment complex located south of Washington Square Park, and saw each other when Nin was in town, that is, when she wasn’t living in California with her west coast husband, actor Rupert Pole. Her east coast husband, Hugh Parker Guiler, also known as Ian Hugo, whom she lived with in Paris, was an artist, a film maker and print maker. Hauser got her apartment from her old friend Ruth Stephan. Stephan was publisher of the avant-garde art journal The Tiger’s Eye (1947-1949), a publication which featured Guiler’s prints and stories by Nin, Hauser and Marguerite Young, who was also the fiction editor. It’s not really possible for me to say how Nin and Hauser met, when or where. It could have been in Paris in the 30s, New York in the 40s, 50s, or 60s. Material Michael Kirchberger scanned for me makes it possible to say it was long before the 1970s. Whenever it was they found time to go to the beach together. 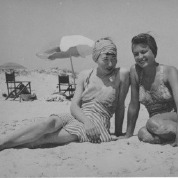 Nin and Hauser were not necessarily good personal friends, but they were certainly artistic allies, and shared many connections beyond Marguerite Young and Ruth Stephan. Nin never failed to mention Hauser when asked for the names of important writers. I have viewed this relationship through this lens, of a more prominent author (Nin) promoting the work of a less known, neglected one (Hauser). Nin is tirelessly generous. But there is evidence that earlier on Nin was asking Hauser for help placing a book of short stories (see the scanned, undated letter). She then quotes The Other Side of the River, her O’Henry Prize story of 1948 (The Other Side of the River. Mademoiselle, (April 1948). Reprinted in Brickell, Herschel. 1948. Prize stories of 1948: the O. Henry Awards. Garden City, N.Y.: Doubleday. Collected in A Lesson In Music. Austin: University of Texas Press, 1964. And The Collected Short Fiction of Marianne Hauser. Normal [Ill.]: FC2, 2004. ), and mentions the 3 novels she had published in English at that point, Dark Dominion, The Choir Invisible, and Prince Ishmael. Hauser never mentions psychoanalysis without palpable contempt. Thomas Spine, the psychiatrist in Dark Dominion, engages the reader’s pity at times, but he is a shallow rationalist with no personal insight. His relationship with his wife is parasitic. He is a sexless, Lawrencian head. Forty years later her Mr. Ashley repeatedly and explosively derides psychoanalysis. What she is attacking is the culture of therapy and the cultic, totalizing tendency of Freud and Freudians. Psychoanalysis in Dark Dominion destroys souls and is opposed to the imagination. It is the ultimate illusion, imprisoning human beings in a normative, ego driven sexuality and conformity. Nin and Hauser experience Rank as the opposite of this, a psychiatrist dedicated to the freeing of the creative imagination. Of course, The Talking Room and much of what she wrote afterwards is marked by verbal violence and shock. It is also difficult to reconcile what ‘psychoanalysis’ can possibly mean in this context. Like ‘communism’ or Christianity, psychoanalysis is not a monolith, and what artists like Nin and Hauser, deeply influenced by European thought and aesthetics, take from it has little to do with talk therapy and pat explanations of reality. 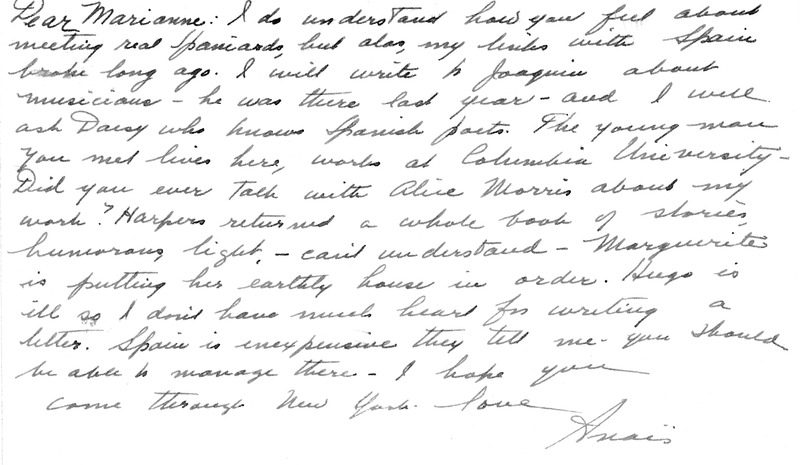 On the flip side is a note written to Hauser by Nin asking her help in placing a collection of short stories with ‘Harper’s’. Hauser had been publishing Harper’s Bazaar for years. The card is undated. She asks Hauser to visit when she next passes through New York. 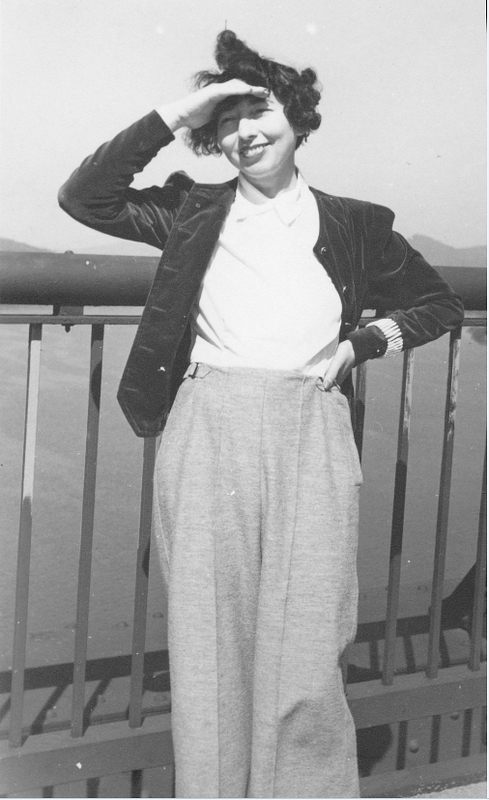 Hauser lived in New York City from 1937-1947, 1957-1959, and from 1966 until her death in 2006.